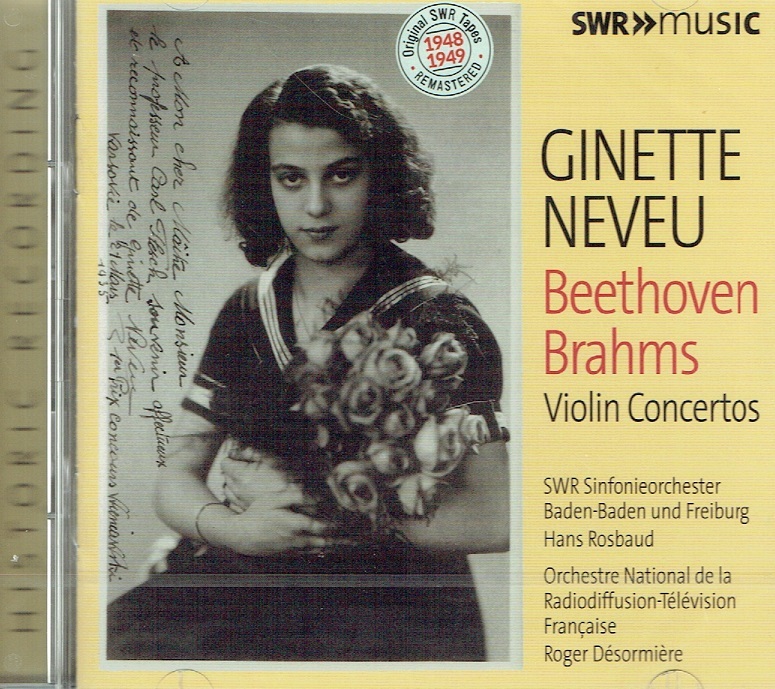 “Ginette Neveu was, for 14 years, one of the most promising musicians of the twentieth century, a violin virtuoso who dazzled audiences in her native France with her performances, and listeners around the world with her recordings. She is remembered today for the promise of her few recordings, and the tragedy of her early death in an airplane crash. Neveu's musical abilities manifested themselves very early in her life, and she achieved fame as an infant prodigy. 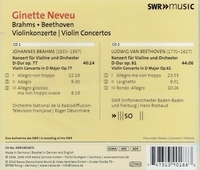 Her formal début took place at age seven and a half, with a performance of Bruch's g minor Violin Concerto in Paris. She quickly began winning prizes in competition, and took lessons from Georges Enescu, before entering the Paris Conservatory at age 11, where she earned the top student prize at the end of her first eight months there. 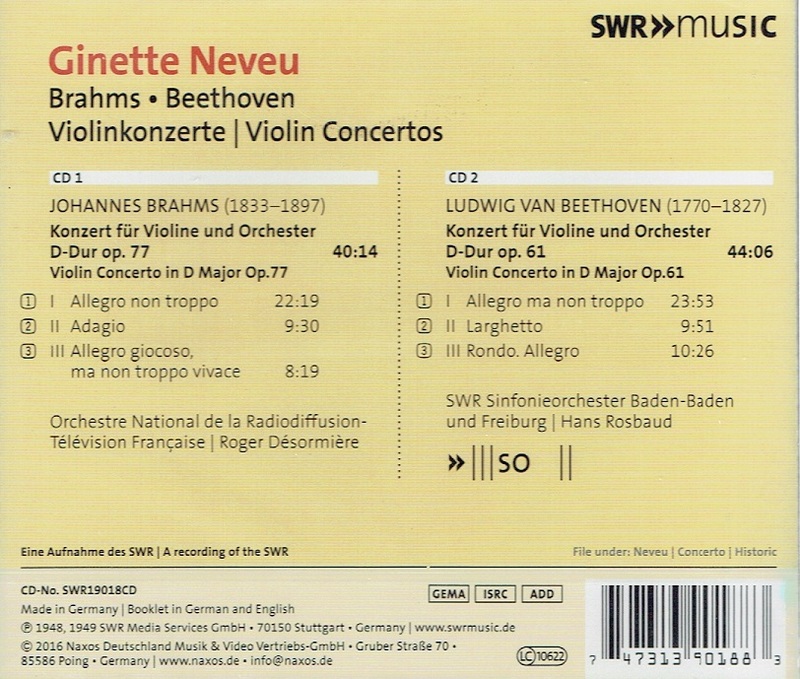 It was her winning of the 1935 prize in the Wieniawski Competition at age 16, against a field of 180 competitors that included a 27-year-old David Oistrakh, that assured her international career, doubly so in the wake of the American and Russian débuts that followed. The outbreak of World War II interrupted her work and career, but in 1946 Neveu seemed ready to resume where she had left off in 1940, with performances in England, North and South America, and later Australia. Neveu seemed poised for greatness, particularly after her triumphant appearance at Britain's Edinburgh Festival in 1949. On 29 October, 1949, Neveu and her brother boarded a plane for a trip to America and a new tour. The plane crashed in the Azores, with no survivors.